The votes have been tallied and the team has been selected! 55 of the best players in world football were nominated to the very first EA SPORTS FIFA Team of the Year, but only 11 made the final cut. See who made the team and look for special player items in FUT packs, for a limited time. The only current player who gets and deserves as much effusive hype and praise as Ronaldo, the Argentine wizard‘s talent and skill on the ball have few equals in footballing history. Like Ronaldo,Messi often gets a similar free attacking role—he’s too good to pin down to one position. He continues to lead his club’s front line fearlessly, racking up plenty of goals and assists along the way. It’s nearly impossible to say anything about Cristiano Ronaldo without dipping into hyperbole. Undoubtedly one of the greatest players of all time, Ronaldo is still breaking records—many of them his own. The Real Madrid attacker has won countless individual, club, and international trophies, a tally to which he’s surely going to add to in the future. Breaking out in the 2015-16 season with Tottenham, Harry Kane continues to improve and dominate the Premier League goalscoring charts. His two consecutive Golden Boot awards put him in rare company, and few would bet against his chances to earn even more awards. A prominent member of the greatest talent pool in Belgium national team history, De Bruyne is also one of the sport’s most complete midfielders. From creating chances to defending to scoring crucial goals, De Bruyne can seemingly do anything. A paragon of the old school central midfielder archetype, Kanté can do just about anything. Whether intercepting a dangerous attack, making a last-ditch tackle at the edge of the box, or squeezing an inch-perfect pass through the defense, Kanté is the type of player everyone wants on their team. Perhaps the best Croatian footballer in history, Modrić has made a name for himself in Madrid as a hard-working, multi-talented midfielder that can adapt to any tactic or opponent. Whether attacking behind the forwards or controlling the play from a deeper position, Modrić is a midfield marvel. One of the most decorated defenders in history, Ramos’ versatility and uncanny football intelligence have made him key to Real Madrid’s successes for more than a decade. Another decade-long mainstay for Real Madrid’s defense, Marcelo is a balanced fullback; on top of his incredible tackling and 1-on-1 defending, speed and technical ability make him a nightmare for opposing defenders. The fierce Italian defender left Juventus after seven successful seasons earlier this year, and picked up right where he left off as part of the stalwart backline of I Rossoneri. The talented Brazilian right-back has impressed on the highest level for nearly a decade, a trend that he looks set to continue after his move to Paris last summer. The Spanish international has become a vital member of the United squad in recent seasons, and he played an important role in their league and continental dominance in 2017. FIFA Mobile has received a massive overhaul. Campaign, Player Training, Skill Boosts, Gameplay changes and more! 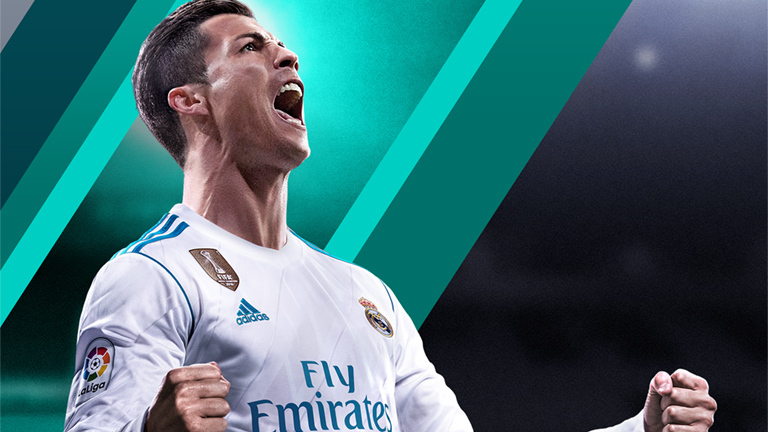 Plus, get a free Ronaldo Item, upgrade any player to over 100 OVR, and build your Ultimate Team with current stars and past icons in the most authentic mobile football game. 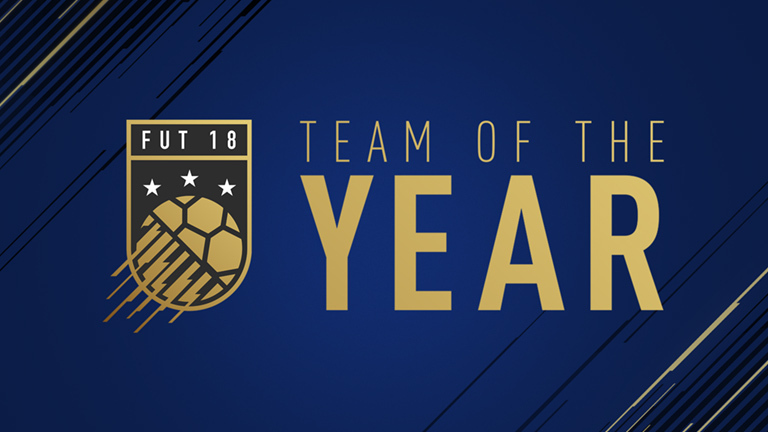 For the first time ever, the Team of The Year was voted on by a carefully curated list of media, athletes and EA SPORTS FIFA community members. This collective of ballot recipients was chosen to represent the millions of EA SPORTS FIFA players all over the world. Each voter selected from a shortlist of 55 players, nominated by EA SPORTS for their real-world performance in 2017. Custom-built ballot boxes were delivered to each recipient containing all 55 of the nominee player items. Each vote consisted of three attackers, three midfielders, four defenders, and one goalkeeper in a 4-3-3 formation. Ballot box recipients cast their vote by posting a photo of their team on social media with #TOTYVote. The ballots submitted by this group accounted for 60% of the final vote, while the remaining 40% of the votes were cast by EA SPORTS. Special highly-rated items for each of the 11 players selected to the final TOTY can be found in FUT packs for a limited time. * Eligibility and restrictions apply. See game and offer disclaimers for details. REQUIRES FIFA 18 ON APPLICABLE PLATFORM (SOLD SEPARATELY), ALL GAME UPDATES, INTERNET CONNECTION, AND EA ACCOUNT TO PLAY. NOT ALL FEATURES AVAILABLE ON ALL PLATFORMS. PLEASE VISIT https://www.easports.com/fifa/features FOR DETAILS. © 2017 Electronic Arts Inc. EA, EA SPORTS, the EA SPORTS logo and Ultimate Team are trademarks of Electronic Arts Inc. Official FIFA licensed product. © FIFA and FIFA’s Official Licensed Product Logo are copyrights and/or trademarks of FIFA. All rights reserved. Manufactured under license by Electronic Arts Inc. All other trademarks are the property of their respective owners.